"...the only real measuring stick of a school's success is the achievement of its students." I'm so thankful to PMI for giving me a career I enjoy! I love getting up and coming to work every day. I feel like I have purpose and I am confident I make a difference in children's lives. My history in the medical field began a long time ago when I was a medic in the military. After being a stay at home mom for quite some time, I realized my kids were growing up and I really wanted a career. 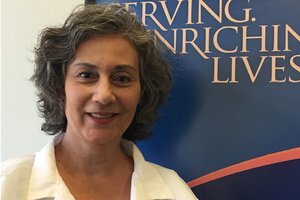 I had a desire to get back to taking care of patients. After lots of research online, Pima Medical Institute became my first choice for their Medical Assistant program I was nervous being a little older than most of my classmates, but it actually worked to my advantage. I was really grateful to be able to further my education and I had a maturity level that helped me to focus. My instructors were great and I felt prepared starting my externship and, actually, quite comfortable performing blood draws and dealing with the patients. 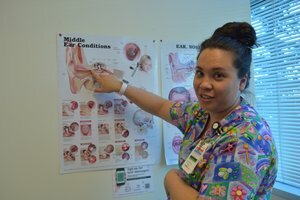 I am currently working at Children's Hospital as a fulltime Medical Assistant float and I have an opportunity to work in the allergy, neurology, rheumatology, cardiology and diabetic clinics. I have learned so much in such a short time and I love my job! I'm currently taking evening classes and hope to someday go to school to become a nurse. I am so thankful to PMI for my new career. I worked at Bowing for 30 years before I accepted a voluntary retirement. I realized then that I was only 57-years old and needed to do something with the rest of my life! Animals have always been a passion of mine, and I had two dogs that had congestive heart failure and kidney disease. Because of that, I had spent a lot of time in the veterinarian's office, and it made me wonder if it was too late to obtain a new career in the veterinary field. I thought I might be too old to go back to school, but I went in to Pima Medical Institute one day, talked to an advisor, and decided to sign up for their Veterinary Assistant program. During the first few weeks of the program, I had serious thoughts about quitting. I hadn't done math in years, and it was tough! I talked with my instructor, and she encouraged me to hang in there and reminded me that the fun stuff was coming. I persevered and studied every single day. I worried before each test, but I was so proud of myself when I did well on them! It was a whole new chapter in my life and a definite lifestyle change, but I have no regrets. I am now working at Banfield Pet Hospital and am really enjoying my job. I encourage anyone who thinks they are too old to go back to school to go for it! You won't regret it! 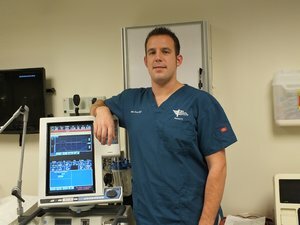 I chose Pima Medical Institute because it was an established program with a good reputation in the Physical Therapy community. I had met several students in the program who were very satisfied with the education they had received and I attended PMI's Open House to get a feel for the staff and facility. I came into a tough program as an older adult learner. But, I always felt supported by staff members, who were clearly invested in my success as a student. I began working for Paradigm Physical Therapy in Los Lunas, New Mexico after a short job search. I heard about the clinic's superb reputation from fellow students who had done clinical internships there. 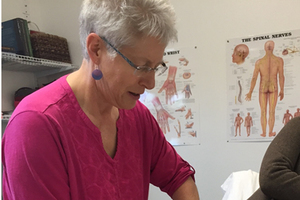 I've also attended a training course for Clinical Instructors under the auspices of the American Physical Therapy Association (APTA) and have been a Clinical Instructor overseeing students on clinical rotations. I am currently working on obtaining a certification for Certified Kinesiotape Practitioner. Also, I serve on PMI's PTA Program board. I would definitely recommend PMI and the PTA program to anyone, if they are willing to make a commitment to work very hard! To my former instructors: thank you for believing in me and supporting me every step of the way. It means so much to me. At age 19 I got a job as a tech in the emergency room. When I decided to further my education, PMI was my first choice. As a student, I felt very prepared for clinical rotations and found I was well respected as a student wearing PMI scrubs in the hospitals. However, it was really only after I graduated and began working that I realized just how amazing my education was - working alongside therapists with 10-35 years experience in the field, I not only kept up but was able to excel. It wasn't long before I began working with PMI students as a Clinical Instructor and, within a few years, I became a full time PMI Instructor. Teaching for PMI changed my life and has presented me with even more opportunities than I imagined possible. While teaching full time, I completed a Bachelor of Science degree which opened even more doors. After being a full time instructor for the Respiratory Therapy department for 5 years, I was presented with an opportunity to run the very program that I was a product of. I have now come full circle beginning as a student, later becoming a graduate, eventually teaching full time, and now being a Respiratory Therapy Program Director. This new endeavor has presented me with the ability to lead a department of professionals that I strongly believe in, and as a former student, bring about effective change. If anyone had told me what I'd be doing by the year 2016, I would have never believed it was possible. My journey began with a tour of Pima Medical Institute in 2007, and here I am today, reaping the benefits of deciding to enroll in a program. Before attending Pima Medical Institute I was waiting tables and wanting more. There had been many nurses in my family and I always thought I wanted to work in the medical field. After doing lots of research, I was excited to find a good Medical Assistant program in Colorado Springs. When I visited PMI, I felt nervous, but everyone made me feel really comfortable, and after talking with admissions and taking the tour, I knew this was the place for me. I had a super good experience as a student. My instructors were great and when I got into my clinicals I just kept thinking, "This is it. I know this is what I want to do forever!" After graduation I was hired at my externship site and worked in family practice for several years. I took a few years off to have my son and had no trouble getting back into the work force. I am currently a Medical Assistant at Children's Hospital where I work mainly in ENT and Neurology. I felt really prepared moving into my new profession. I was ready and Pima helped me get there. To all the waitresses out there who want something more ... it's tough to start a new career, but go for it! You won't regret it! When my mom encouraged me to check out Pima Medical Institute, I was unclear what I wanted my career path to be. But I have always loved animals, so once I heard about their Veterinary Assistant program, I knew it would be a fit. My instructor was the best! He had experience in the field and he taught us practical tips beyond the program curriculum. My classes were small, my classmates and I helped each other, and I really appreciated the overall environment. The biggest challenge for me was managing my time so I could continue working, attending classes, and have time for family and studying. It's a fast paced program and it was certainly stressful at times, but it was totally worth it! 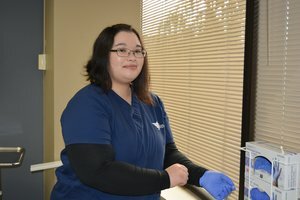 I was definitely nervous to begin my externship at an actual clinic, but they received me with open arms and gave me a lot of constructive advice and taught me different techniques. One thing that helped everyone was that I speak Spanish and it seemed every day there was someone who came into the clinic who only spoke Spanish. The veterinarian was very appreciative that I could help communicate with their clients, and when my clinical time was over they offered me a position. 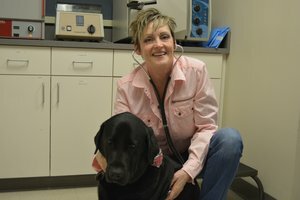 It is fun working side by side with the veterinarian and staff and hearing their opinions. I enjoy caring for the animals and seeing them come back feeling better and growing. I just love my job! For over 10 years I was a part owner of a Sonic Drive in restaurant. I enjoyed it, but I was on salary and often worked over 100 hours a week. As I considered making a change, I began researching the medical field since it had always been an interest of mine. 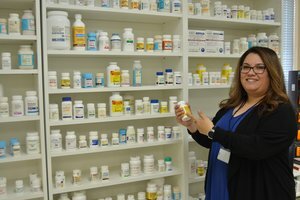 Before I knew it, I was signed up for Pima Medical Institute's Pharmacy Technician program. Going back to being a student after a 20 year break was intimidating and difficult and I often worked a 12 hour day before coming to class. But, with the help and support of my husband and family, I did it! I had a great externship experience and on the last day of my externship my future boss told me they really wanted me to stay. I felt like it was a great environment and a perfect fit for me, so I accepted the offer and stayed for almost 5 years. One day I was contacted by one of my former PMI instructors asking if I would consider substitute teaching. It wasn't long before I became a fulltime instructor at PMI. I really wanted to provide a career for my students; much like my instructors had done for me. I find teaching to be such a rewarding job! I never thought I'd get a degree at my age, but when the opportunity presented itself, I decided to sign up for PMI's online Health Care Administration program. Even though it was challenging teaching full-time and being an online student, I loved the program and it provided a great stepping stone for me. In fact, I decided to continue learning and I am currently enrolled in their Bachelor of Science in Health Care Administration program. Like I tell my students ... anything is possible and you can always do more! I started my career in education working as a kindergarten teacher for 25 years. About 8 years ago, I went to Pima Medical Institute's Medical Assistant program in Denver and for a while I worked as both a teacher and a Medical Assistant. 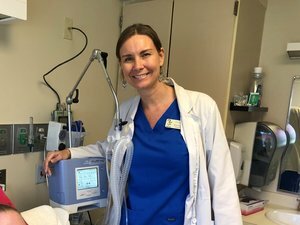 But I've always had an infatuation with smiles and I felt like I was ready for a change, so a few years ago, after moving to Arizona, I came back to Pima Medical Institute and attended the Dental Assistant program at the Mesa Campus. PMI is one of the best schools out there and I learned so much in both of my programs! How did I get my job? I went in to get my teeth cleaned and ended up being offered a job by the dentist. It's a great fit for me. My dentist is always encouraging me to learn and offers opportunities for me to get more training. It's so good to have a mentor who is willing to teach or train while they're working with patients. I have been promoted to the Lead Dental Assistant. I enjoy the extra responsibility and it makes me want to strive for more. I appreciate the start PMI gave me in the medical field. I am always learning and am considering going back for the Dental Hygiene program in the future. Way back in the early 90's I was a single mom, tired of working clerical jobs. I became interested in a career in the medical field. I discovered Pima Medical Institute, was excited about a short, nine month Medical Assistant program, and I enrolled. I don't recall much about my classes back then, but they gave me my start in the medical field. I obtained my first MA position working for the internal medical doctor with whom I had done my externship. While there, I also helped train other PMI extern MA students. After three years, I remarried and had two kids. While at PMI, I had enjoyed the medical transcription piece, so I obtained a transcription certificate which enabled me to work from home and raise my family. Years later, I relocated to New Hampshire and was hired at a doctor's office as their medical transcriptionist. Eventually, I enrolled in a nursing program and received my LPN. I am currently in school to become an RN, and I work for two traveling nursing agencies. It is such a great fit for me! I switch assignments every 13 weeks, there are plenty of jobs in my area, and I never get bored, I continue to learn, and I have a very lucrative salary. I love being a nurse at 54! I encourage every Medical Assistant I work with to continue their education. Pima Medical Institute gave me my start, and I used it as a stepping stone to find a career in the medical field that fits my lifestyle. After my husband and I were transferred from the East Coast to Seattle, I began researching reputable Medical Assistant programs. My search brought me to Pima Medical Institute. I found the MA program to be fast paced, but my instructor was excellent and she was always there to help if there was something I didn't understand. It was more than book learning; our instructors had us practice techniques and geared our learning toward what we needed to know to be a professional. The whole process was quite smooth. I am currently employed by MultiCare as a Medical Assistant for a primary care doctor. From the very beginning, I felt welcomed at my new job. The doctor is fun, easy to work for, and he takes it upon himself to help me learn. The manger is also very flexible and would like to promote me if I were to further my education. So, I have enrolled in PMI's online Health Care Administration associate's degree and plan to continue in the bachelor's degree program. I had such a great experience at PMI's Renton Campus and felt so well cared for by my instructors and Career Services, I trusted I would have the same kind of support in the online programs. I love my job and I'm looking forward to a long career in health care.